Finding sewage problems in your Elburn, IL building can be frustrating. If you are not careful, issues such as a blocked sewer can seemingly come out of nowhere. It is important to perform regular inspections and maintenance of the building in order to prevent any potential damage. The following are a few common problems that you might experience. Pipe breaks are not always preventable. In some cases, such as cold weather when frozen pipes are common, the damage is sudden. However, old pipes often break as the result of normal wear and tear on the materials. If the pipes in your building have not been replaced in a while, you should be sure to check them regularly to catch signs of damage early. When you have a clogged drain, the water is removed very slowly and sometimes gets backed up. This can cause problems such as sink or toilet overflow. Not only will this be unpleasant to clean up, but it can also create lasting damage if it is not repaired quickly. Plumbing backups are not the only problem that can come from a clogged drain. If you are having trouble with more than one sink or toilet, it is likely that there is a larger issue. A blocked sewer can be the result of buildup in the drains that remove water from your building. This can be caused by disposing of items improperly, such as flushing paper towels down the toilet or pouring grease into the sink. In some cases, it may also be caused by the roots of nearby trees or a collapsed pipe. While regular maintenance can help prevent certain sewage problems, sometimes they are unavoidable. If you have a blocked sewer or other problem, a damage restoration company can help locate the source of the issue and repair any damage that has been caused. Walls were covered with mold, but SERVPRO made it "Like it never even happened." 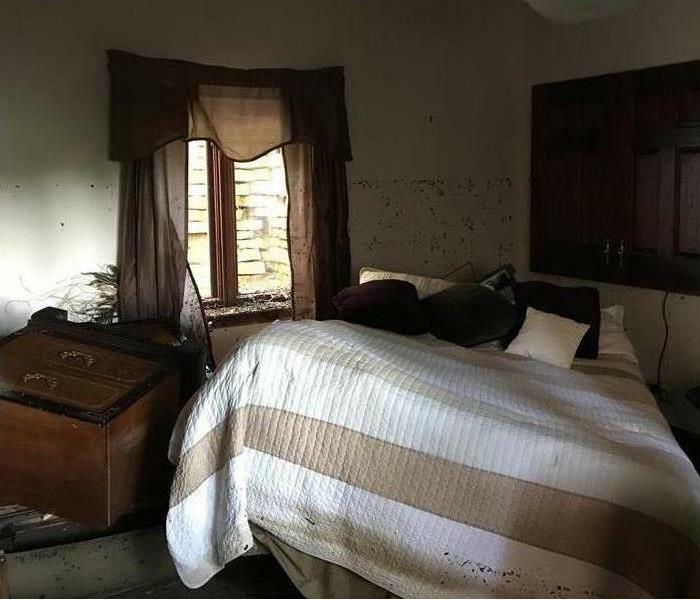 While mold prevention is an excellent practice to get into the habit of as a property manager, it doesn't do you much good when you already have an issue. However, prevention can quickly transform into protection when dealing with a current problem, as preventative steps are used instead to reduce the risk of further contamination and exposure. Prevention calls for ensuring seals around doors and windows to be intact and tight. The same applies when dealing with mold growth, except you are now ensuring that the contaminated area is well sealed from the rest of the building, meaning that you close all doors and windows to the area. Additionally, you can use plastic sheeting to ensure a tight seal thereby reducing air movement and mold spore spread. Mold prevention also mandates that you seal and repair any sources of water damage. When dealing with an area that has already experienced water damage and is currently contributing to mold development, you should turn off the water supply to that area. While prevention often calls for ventilation, when dealing with an existing fungal problem, ventilation is the enemy because it allows for the spread of spores. Therefore, if you cannot turn off the HVAC system, you should control the temperature settings to reduce the number of times the unit cycles on and to minimize the risk of mold spores getting pushed throughout the system and the property. It is OK to admit you need help. Calling a mold remediation specialist in the North Aurora, IL, area is probably the wisest decision you can make because they are trained and certified to deal with your current problem. Mold prevention goes beyond eliminating potential risks as it also relates to controlling and mitigating a current problem. Reduce the air flow in contaminated areas, turn off contributing factors and call a specialist to remediate the situation safely. Don't put yourself or your tenants at risk. How Does Pretesting Affect Claims? Pretesting can help to determine the full extent of damage to a property before mitigation starts. This preliminary step may increase the accuracy of an initial estimate and could ultimately reduce the total amount of an insurance claim. Learn more about how early testing can potentially impact a claim. Pretesting can identify the presence of additional damage that might otherwise be overlooked. Undetected damage could result in serious problems or significantly increase an estimate if it is discovered during mitigation or restoration. Preliminary testing can also determine whether other types of damage are present. 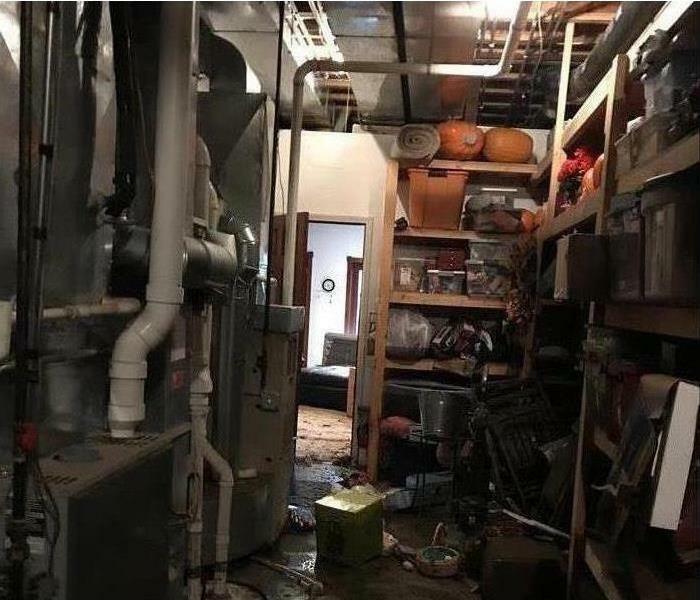 In the case of a fire, this may involve additional smoke or soot damage that has traveled through ductwork to other parts of a structure or water damage from extinguishing efforts. In the event of water or storm damage, mold or other secondary damage could be identified through early testing. This damage can then be factored into an initial estimate and work schedule. If any additional damage is discovered in the midst of mitigation or during restoration, it may add time to the duration of the process. This may result in higher claim amounts for property insurance and possibly also business interruption. Preliminary testing can account for all of the damage that is present at the start of the process. All of these factors make pretesting well worth any additional expense or time. A property owner or insurance agent should insist on the importance of a thorough initial inspection, particularly when dealing with major damage caused by fire, water or storms. Winter weather can cause a lot of damage to your home. Prepping for winter means making sure there are no weak areas in your roof, around your windows or in your foundation to let cold air or water in. Other hazards to look out for are frozen pipes. While the best protection is prevention, there are things you can do to salvage pipes before they wreak havoc on your home. If there is frozen water in a pipe, it may have already expanded enough to crack. If that is the case, turn off the water main and call a plumber. Warming the pipe up before it's fixed may result in water damage that can only be resolved by water restoration specialists. 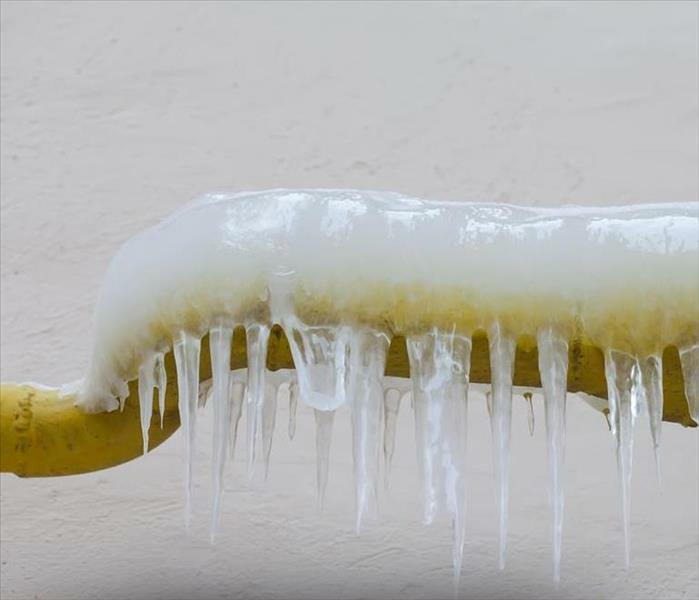 Sometimes, frozen pipes won't show any signs of stress or breakage. When this happens, you can fix the problem by simply warming the pipe. Keeping faucets open to keep warm water moving through the pipes can accomplish this goal. You can also use a hair dryer to warm up pipes or, if the pipe is metal, a heat gun. Directing warm air from your HVAC unit into the walls can also unfreeze the water in the pipes. To prevent a pipe freeze, you want to make sure the pipes and the air around them stay warm. Insulate pipes that are particularly vulnerable. Keep the heater on in your home, and circulate the air so that it reaches the pipes. Opening cabinets and closet doors can help facilitate this circulation. 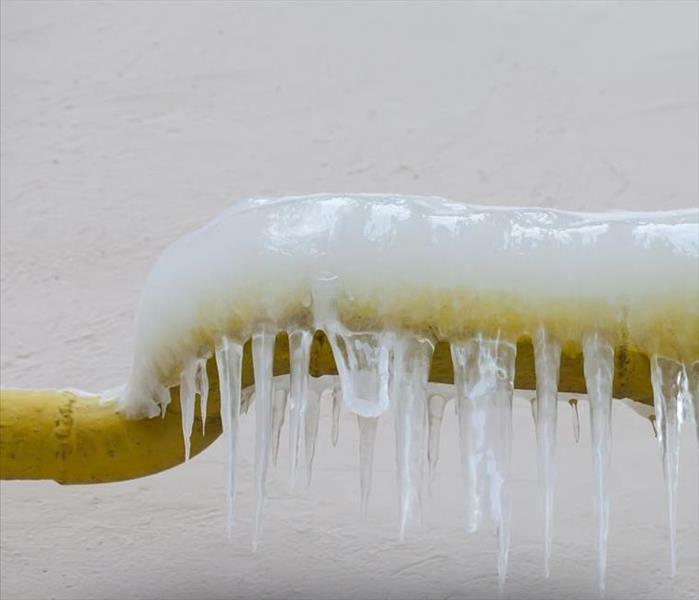 Frozen pipes can cause damage to your home in Geneva, IL, but dealing with this issue is fairly simple. By warming pipes and keeping them that way, you can prevent a lot of water damage. Mold damage in a ceiling after water damage. Mold removal may sound like a simple job, but nothing could be further from the truth, especially when dealing with an infestation. Mold spores spread quickly and easily, which means that in a contaminated home it is necessary to seal off registers and doorways to prevent the movement and cross-contamination of the mold species. However, beyond taking the appropriate precautions, hiring a professional for removal has other perks. 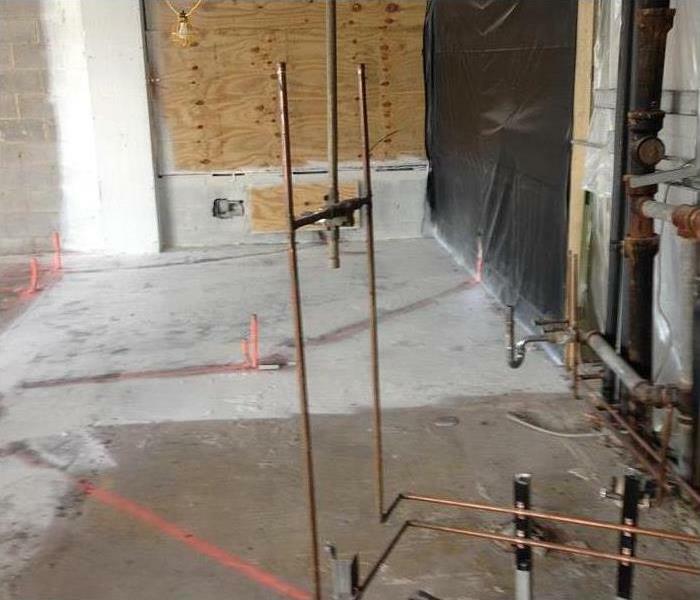 Reputable remediation experts will perform what is known as pretesting. This involves taking samples of all contaminated surface areas of the home as well as air quality tests. These tests allow experts to determine the mold species and the level of contamination. This determination then informs the remediation team on how to best move forward. Mold removal is not only about removing contaminated items and materials, but it is also about preventing the spread of the mold spores to other areas of the home. While spores are everywhere and virtually impossible to remove 100 percent, they can be reduced and controlled to prevent further and future damage to your home. While some molds can be removed using cautious DIY techniques, black mold removal is not one of those species. In fact, some states and insurers require professional remediation for a black mold infestation to ensure the safety of you and others. A bonus to hiring a disaster restoration specialist in the St. Charles, IL, area for your remediation needs is the restoration part. These companies are a one-stop shop for remediation and restoration, meaning that your home will be free of mold and repairs when you get it back. Mold removal can be a complicated job, one requiring professional assistance. Don't think that because a problem appears small and manageable than it actually is. Hire a professional to perform pretesting and learn about what you are dealing with, and then, if the problem is bigger than expected, hire a remediation and restoration team to take on the work. Stay safe and think of your health. Have you scrubbed, scoured, and cleaned moldy spots in your home only to find the pesky mold growing back or growing in another area of your home? The problem may be high moisture levels. Mold spores are a natural part of the environment and are always present in your home, but when humidity levels are high, or there’s a water source, such as a leak, mold begins to grow. The key to controlling mold infestations is controlling moisture in your home. 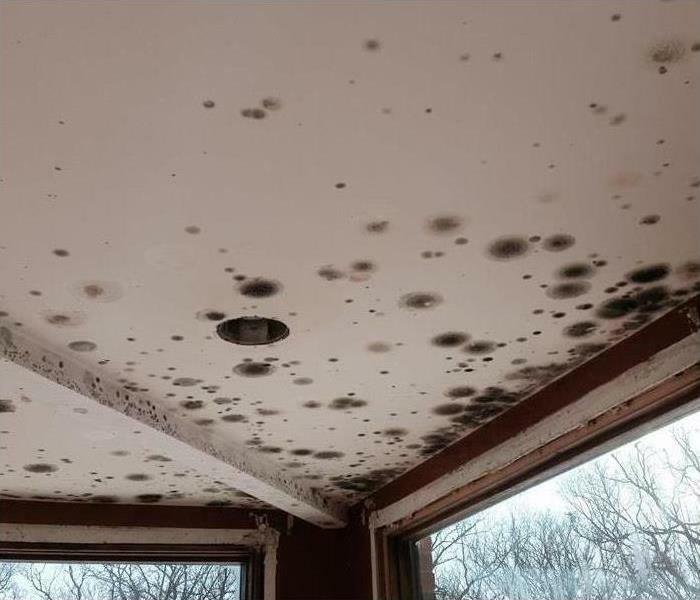 SERVPRO of St. Charles are mold remediation experts, and we would like to share with you the best moisture control tips to help prevent mold growth in your home. Mold thrives in high humidity environments, and the best way to know the moisture level is to measure it. Hygrometers are hand-held devices that measure moisture levels in the air. They can be used both indoors and out, and are found at hardware stores often near the thermometers. Hygrometers can be built into other appliances such as humidifiers and dehumidifiers. If the humidity level is more than 50%, take extra measures, such as those described below, to reduce moisture levels and reduce the chance of mold growth. Use a humidistat to control humidity levels indoors. While the hygrometer measures the moisture levels in the air, a humidistat controls it. Commonly built into other appliances like air conditioners and dehumidifiers, humidistats regulate indoor moisture to your preferred preset level. Appliances with humidistats often come with a higher price tag, but they are often worth the additional cost since the average humidity levels are about 60% in the St. Charles, Batavia, and Geneva area. If you don’t have a humidistat, you can use your air conditioner to help dry out the air. Instead of running cold air all day, program your a/c to run at 72 degrees for about 2 hours before sunrise and at 85 degrees the rest of the day. Opening windows and using fans are also helpful, however if humidity is already high outdoors, it’s best to use your air conditioner for air circulation and moisture control. Moisture levels can rise quickly in your kitchen and bathroom. Make sure that the exhaust fans are in good working order and clean. Range hoods can get clogged with grease that prevents optimum ventilation so be sure to clean it often. Correct leaks quickly…even small ones. It may be tempting to place a bucket under a slow leak and tend to it later, but any excess moisture in the home invites mold growth. Buckets overflow, leaks are forgotten or get worse, and before you realize it, you have water damage and mold growing in your home. As soon as you find a leak, fix it and promptly dry any wet areas. 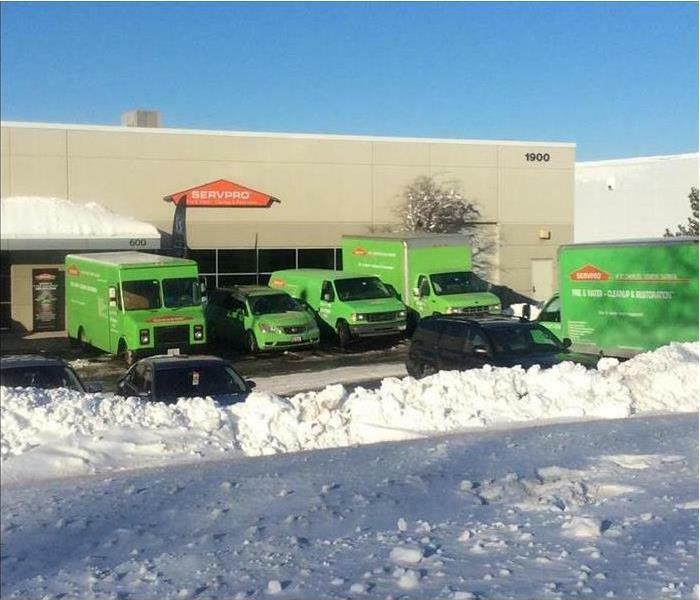 If water damage is extensive, hire a trusted water damage restoration company, such as St. Charles SERVPRO, to do the clean up and repairs for you. Controlling moisture levels in the home takes effort, but it’s worth it. Mold infestations inside the home can negatively affect health and cause costly damages−damages that can be avoided or lessened if moisture control measures are taken. For a thorough inspection of Batavia water damage and possible mold growth, call us at St. Charles SERVPRO. Also servicing the Geneva area, St. Charles SERVPRO is the mold remediation expert, and we look forward to helping you achieve a clean and mold-free home. The listed companies each respond to in their own way. Power, cable and emergency services have reciprocal agreements to send crews when needed. Grocery stores, restaurants and hotels take care of their own. Large hospitals and medical facilities assemble, equip and deliver teams of medical professionals. The cleaning and restoration company takes a different approach. On a typical day, it looks like a group of over 1,700 independently owned and operated franchises. They deal with damage of all types including fire, water and storm. They perform cleanups and restorations in the nearby cities and towns. For the employees, it’s a peaceful day-to-day job. When disaster strikes, this company stands tall. Faster to any size disaster is not just a catchy phrase. Those home town franchises are part of a tightly connected network of providers. The central office of this network regulates all activity in the disaster area. It begins with franchisees transferring teams and equipment to the disaster area. The company’s central office logs each insurance claim and assigns it to an appropriate team. In a disaster situation, the number and density of claims are high. Teams may find themselves working on multiple claims at the same time. This is the ultimate goal of all cleaning and restoration projects. If you need this done in the North Aurora, IL, area, getting help is easy. Contact the cleaning and restoration company that is faster to any size disaster. Flood Damage in Batavia, IL. Flooding is one of those issues that causes a lot of controversy around the idea of insurance coverage. While flood damage requires individual riders and sometimes special policies, storm damage is often covered under a typical business policy. Why is that, and what exactly is the difference between flood and stormwater damage? The critical issue is in the definition of flood and stormwater. Flood water is defined by territory and natural formation. Therefore, overflowing rivers, lakes, creeks, watercourses and dams are considered floods. Water overflowing from these areas and into your building will require coverage from an individual insurance rider or policy. Stormwater refers to water overflowing from drains due to backups or rainwater. This type of flood damage is considered damage from a storm or other humanmade issue. However, while most policies will cover this type of damage, you may require special insurance coverage for your surrounding property or possible business interruption. There are instances where both rainwater and overflowing rivers cause flooding. In these instances, it is up to your insurer what items are covered or not, likely anything explicitly caused by rainwater and damaging your property will be covered, but this can be hard to prove. The most practical thing to do is to get a flood insurance rider if you are in a moderate to high-risk flood zone. By covering multiple possibilities, you can ensure a better outcome. Call your insurer or a flood remediation specialist in the Batavia,IL, area to discuss your options further. Flood damage is unique in that its causes vary wildly from natural occurrences to humanmade crisis but that it is not as broadly covered by insurance policies. Insurers define flood water and stormwater in different ways which may result in the necessity of multiple policies or riders. For most people, their house is much more than just a building that they live in; it is a home where they make precious memories and feel the most secure. Going through a home fire that damages your home and destroys sentimental belongings can be extremely devastating. Although a fire restoration company can help reconstruct your home in St. Charles, IL, and deal with the fire cleaning, you will likely still experience some loss. It is important to be educated on how house fires often happen so you can prevent this terrible situation from every happening to you. Here are the top three leading causes to watch out for. While many people choose to smoke outdoors to keep smells and lingering smoke out of their homes, preventing a home fire is another good reason to add to the list. In fact, smoking in bedrooms is the top cause of house fire fatalities. Leftover cigarette butts and embers that accidentally fall onto the ground or furniture can quickly catch flame. 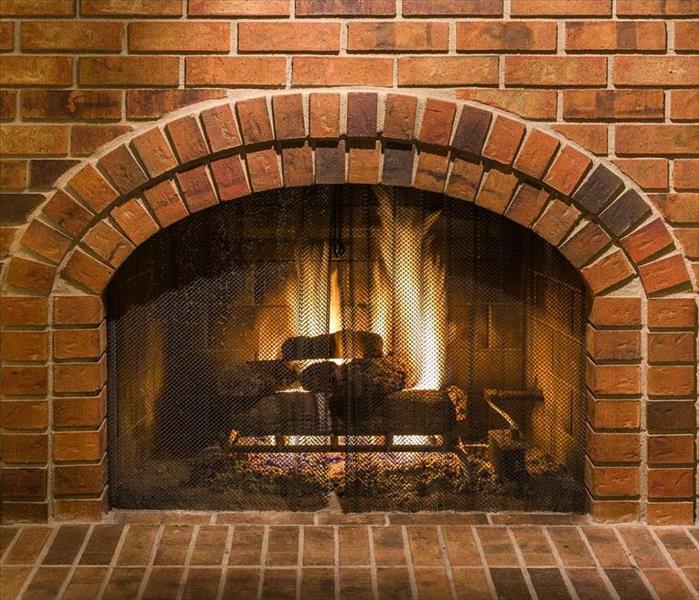 Portable space heaters, furnaces, boilers, and fire places are all examples of possible sources of a heating fire. Make sure to keep up on maintenance tasks for all of these types of equipment, and always keep flammable objects at a safe distance away. Fortunately, there are many steps and precautions you can take to prevent a home fire. Start by focusing on these three top fire causes to help keep your family and home safe all year long! Since mold likes to attach itself to a large number of different types of surfaces, your personal belongings may be affected as well. If you’ve recently discovered mold in your home in St. Charles, IL you might be devastated to discover that the extent of the damage goes beyond the structure of your home. Since mold likes to attach itself to a large number of different types of surfaces, your personal belongings may be affected as well. The good news is that mold cleaning is possible for many different types of items around your home! Porous items that have experienced mold damage require a more extensive cleaning process, so they are often thrown out if they are not of any value. However, items of sentimental value or important documents can be restored using special mold cleaning methods. It is important to consider the cost of cleaning particular items when determining whether you should keep them or throw them away. Once the items you want to have restored are identified, the restoration specialist will identify the best cleaning method depending on type of object affected. While non-porous surfaces can often be washed using dry and wet cleaning, spray and wipe cleaning, or abrasive and immersion cleaning, some items require special handling. For example, electronics, documents, photographs, and upholstery fabrics will go through a specialized mold cleaning process that will prevent further damage or corrosion from occurring. 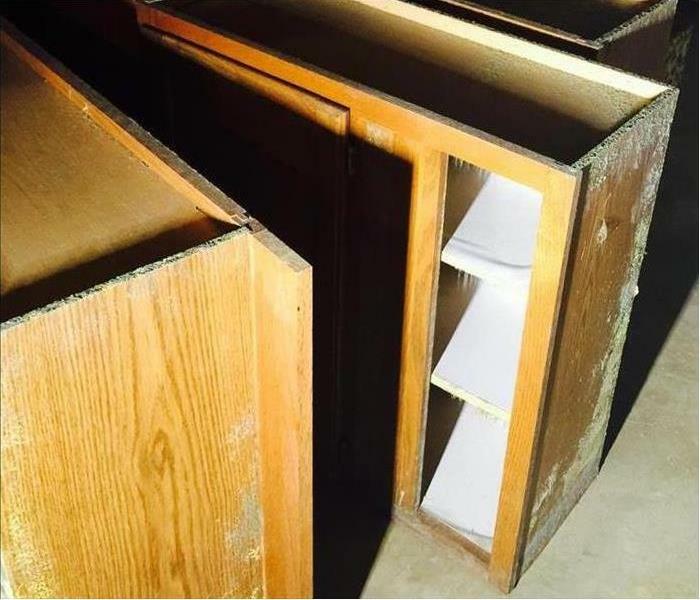 While there is no guarantee that all of your items can be salvaged, it is certainly a relief to learn that you don’t need to throw out everything you own that has been affected by mold! With the help of a mold remediation specialist, you will be able to restore many of your most valuable belongings. 3/24/2019 - How Does Pretesting Affect Claims?